In the last year, I have had several clients and friends send me an article on how to prevent being arrested for a DWI.The main thrust of the article suggests that you put your license and registration in a Ziploc bag under your windshield wiper along with a note stating you do not consent to any search of the vehicle. Then, if you are stopped at a checkpoint or are pulled over by the police, you simply refuse to open the car window and point to the bag. I cannot stress this enough – this approach is not recommended. I would be glad to work with anyone who attempted this stunt and was arrested, but you can expect me to charge three to four times the going rate for DWI representation, since I expect we would find ourselves headed to the NC Court of Appeals in due course. But that isn’t really my point. If you are drunk enough to consider the Ziploc test of your right to be free from unreasonable searches and seizures, instead of seeing if it will work in a costly game of “hey ya’ll, watch this,” why not call a cab or simply curl up in the back seat of your car for a nice sobering nap? (Do yourself a favor on the nap thing – don’t start up the car.) It’s a well-known one-liner that $20 for a cab beats $10,000 for a DWI! Costs for DWI don’t have to reach $10,000 or $15,000, but they can depending on the circumstances and how well you shop for auto insurance on the back end. Hiring an experienced attorney will set you back $2,000 to $2,500 or more depending on the details of the case. Costs for temporary driving privileges ($100), required alcohol assessment ($100), and inevitable participation in recommended treatment classes ($160.00 and up) start early on in the process. Insurance rates can jump by 400%, though some providers offer lower costs than others. 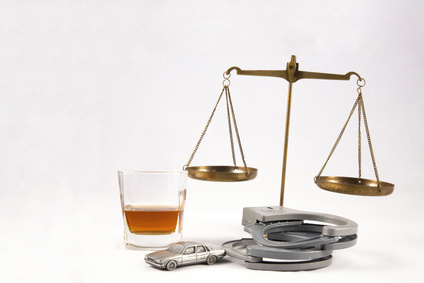 Fines vary depending on the court and whether you’ve had previous DWI convictions. Long story short, a DWI arrest is a money pit. DWI convictions also limit you in the job market. Many jobs require security clearances, a valid license, or a criminal background check. Those background checks will disclose your DUI history, which demonstrates your lack of judgment and may be the factor that eliminates you from the pool of applicants. Military personnel often find themselves separated from their service before ever getting to court. The charge alone can end your military career. Don’t forget the number one reason to avoid a DWI: safety. North Carolina DWI laws are tough for good reason, and have been crafted partially through lobbying efforts of Mothers Against Drunk Driving (MADD) to produce serious consequences. If you are charged with DWI in North Carolina, understand that you can benefit from competent representation by an attorney. DWI statutes and case law require officers and breathalyzer technicians to follow detailed procedures; having an attorney to be sure the details were properly followed may make a difference in the price you pay for that night out.